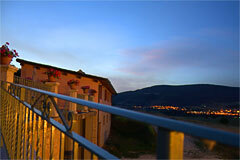 Farmhouse in Castelluccio di Norcia adjacent to the main square of the village, renovated with great attention to detail, nine individual apartments with breathtaking views of the Pian Perduto, breakfast room, large yard with outdoor benches, tables and barbecue available for guests. The farmhouse in the country. 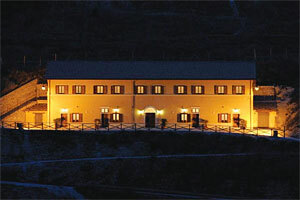 Since the summer of 2010, the farm offers hospitality in the farmhouse ” Il Sentiero delle Fate”, a name inspired by the myth of the Sibyl and of the fairys over the handmaids. The fairies, beautiful and voluptuous girls with goat feet, according to legend loved to participate in the dances of the country. 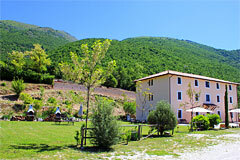 Farmhouse in Castelluccio di Norcia twenty paces from the main square, a beautiful mountain house completely renovated in style, rooms with a view of the Pian Grande, beautiful restaurant, typical products of the farm at the table, lentils, barley, roveja and much more. 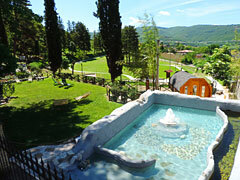 In a charming landscape, where nature reigns supreme, where each season brings emotions, colors and scents. 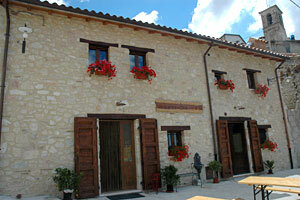 Where once resided the farm of Brandimart family, now borns in Castelluccio the Farmhouse Antica Cascina. In its rooms predominate uniqueness and style. The attention to detail shines through in all environments. 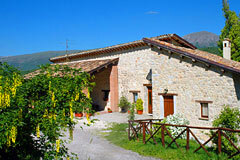 Farmhouse 30 minutes from Castelluccio di Norcia, in the village of Casali Legogne in Norcia, nestled in the Castoriana Valley, near the Big Ring of the Sibillini, National Park trail. Rooms with bathroom, breakfast room. 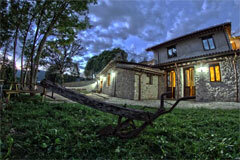 Rebuilt on the ashes of a beautiful house of the 18th century, “Farmhouse Salvi” is an old mountain villa totally renovated and nestled in the lush Sibillini Mountains National Park. 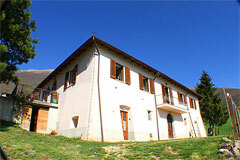 The country house is made up of 12 mini-apartments. Farm owes its name to the conspicuous presence of elder (sambuco) plants. Walking along the path of the old railway, which once connected Spoleto to Norcia, you will come into contact with the “sounds of nature”. 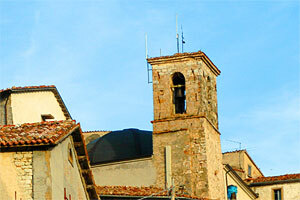 Il Casale Perla Organic family Farm immersed in the Sibillini Mountains National Park at the foot of the Patino Hill offers the opportunity to see a special and charming glimpse of St. Benedict’s hometown. In the Sibillini Mountains National Park, in a typical Umbrian stone house of the 18th century, FonteAntica is a family farm recently opened. 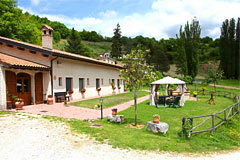 It has 13 rooms all with private bathrooms, decorated with attention to detail and elegance. In the plain of St. Scholastica in a town house on a former Matt Agicola, a unique view of the city of Norcia, 2km from the centre of Norcia, a farm with a variety of rooms, from classical to modern. 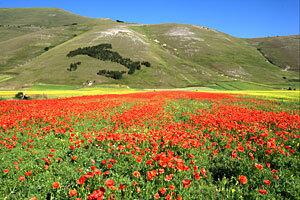 Umbria, Sibillini Mountains National Park, Norcia: these are the coordinates of the farm. A working farm since the beginning of the 16th century, respectful of traditional values ​​and modern needs of rural tourism, to relax and to fully appreciate the nature and culture of the place. L’agriturismo la tana dei lupi a Norcia, si trova alle pendici del monte Patino, nasce nei pressi dell’azienda agricola di famiglia, che comprende l’allevamento di animali, per lo più mucche da latte e da carne. E’ una struttura immersa nel verde del Parco dei Monti Sibillini.